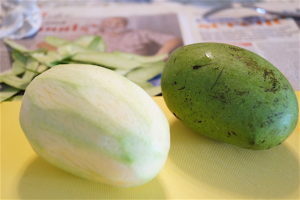 If you haven’t been made aware of my infatuation with mango, raw or cooked, this post should do do it for you. I love the fruit and will look for any excuse to use it in dishes. This is one dish that’s a winner in my eyes because it’s so simple and light. It’s again a Bengali concoction and one of my favourites. The Bengali cuisine my family cooks have very few ingredients in the form of spices and flavouring but they pack a punch in flavour. This is one of the only dals’ I know how to cook and that too because I love to eat it and it has so few ingredients and of course, there’s the tang of the mango. 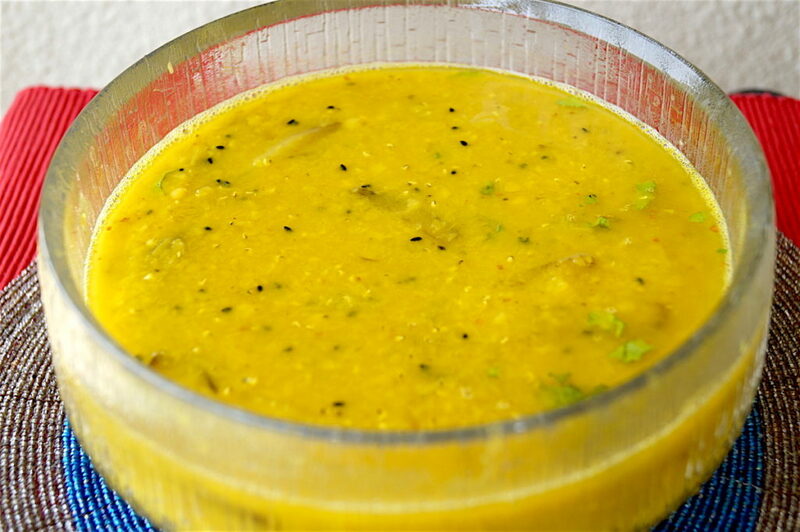 One should use a sour mango if you want a tangy taste to the dal and use a semi ripe mango if you want a sweetish taste to the dal. I used a raw mango. Most Bongs would also add sugar to the dal but I do not. I like the spicy hit from the chillies and the tang from the mangoes and the salty taste with the earthiness of the kala jeera. This dish is best had with hot steaming fluffy rice. You can also add a nice dry potato dish to it or a dry vegetable dish to it or even fried fish or cutlets. 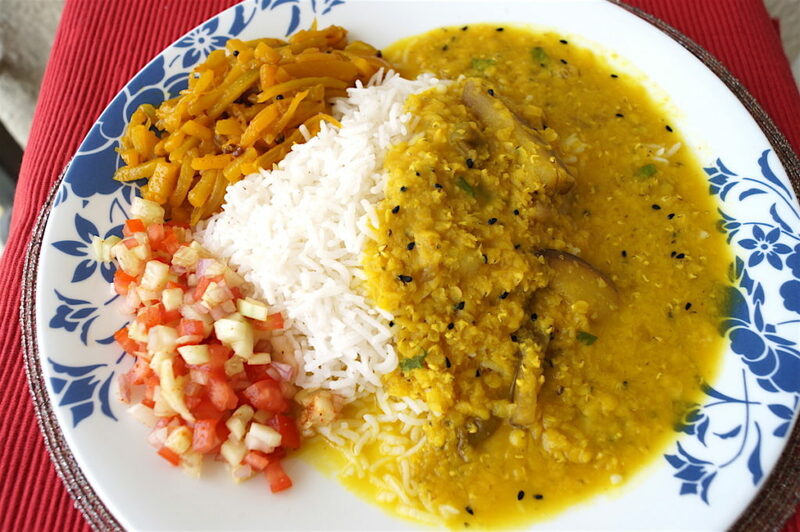 This dish is a pretty forgiving one so overcooking the dal is not a possibility. Just don’t burn the spices in the beginning when frying them. Do not under-salt it as the taste will become insipid when mixed with the rice. There’s not much more to say about this other than just make it and eat it. Wash the Massoor dal nicely a couple of times and drain. Then soak it in water for 20 minutes and drain that water. 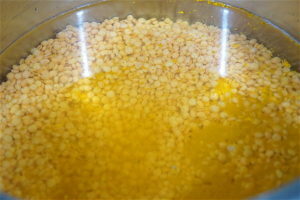 Then boil the dal in the 1.5 litres of water mentioned above with the salt and the haldi powder for 20 minutes. Heat the oil in a kadhai or a wok or any deep saucepan. 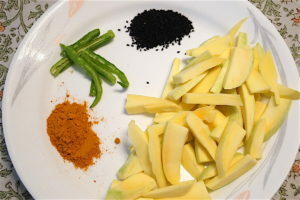 Add the kala jeera, green chillies and mango and stir on medium heat till the mangoes start wrinkling a bit. Make sure not to keep the heat on too high as the jeera will burn. Stir for about three minutes. 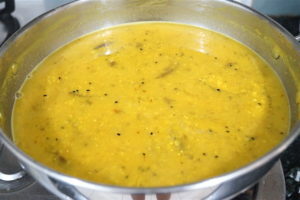 Then add the boiled massoor dal to the oil and mangoes and simmer on medium heat for 30 minutes, stirring occasionally to break down the grains till the grains of the dal have become fine and less grainy. 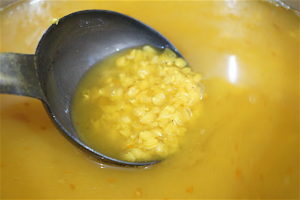 Add about 300 ml more water if you don’t want the dal too thick and boil till you get the flavours of the mango and spices. Add a bit more salt if needed. I added half a teaspoon more salt. It may seem like a lot of salt but this is a large dish which will feed at least 7 to 8 people. Remove after 30 minutes of simmering and stirring when you’re satisfied with the consistency and flavour and serve immediately with rice. Important notes: Make sure you simmer the dal for at least 30 minutes in the oil and mango else the flavours of the mango won’t get incorporated. 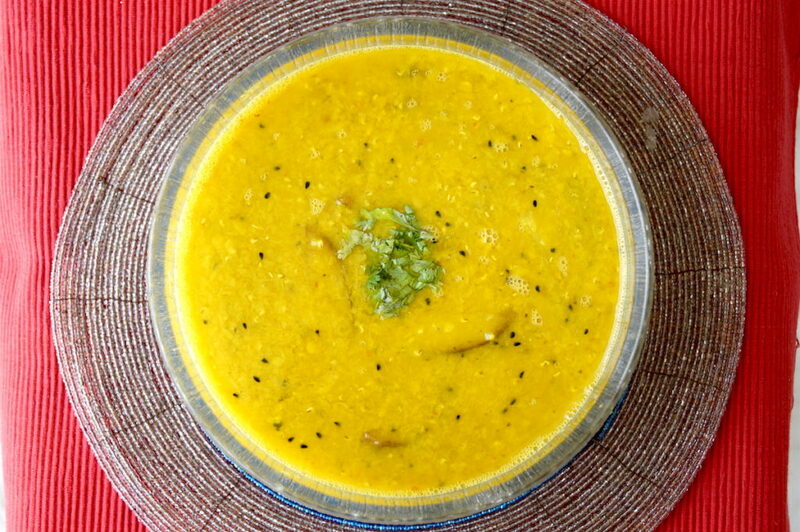 Use mustard oil to bring out the flavour of the dal. 2. Get the Ingredients ready. 3. 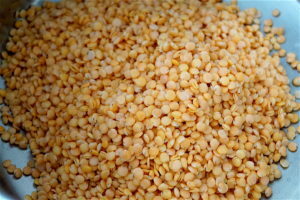 Wash and soak the dal for 20 minutes. 4. Should look like this after. 5. 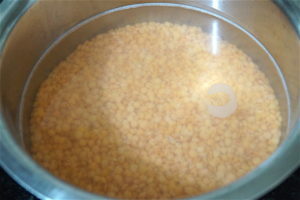 Add the dal, 1.5 litres of water, haldi and salt to the pan. 6. Boil the concoction for 20 minutes on medium-high heat till it looks like this. 7. 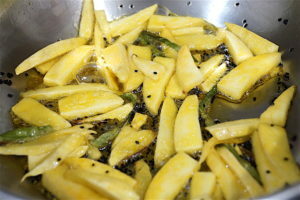 Add the kala jeera, chillies and mango to the hot mustard oil and fry for 3 minutes. 8. 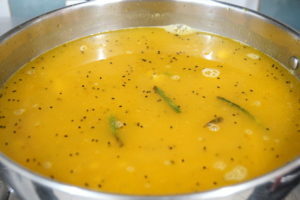 Add the Boiled masoor dal to the oil and mangoes and simmer on medium heat for 30 minutes stirring intermittently.